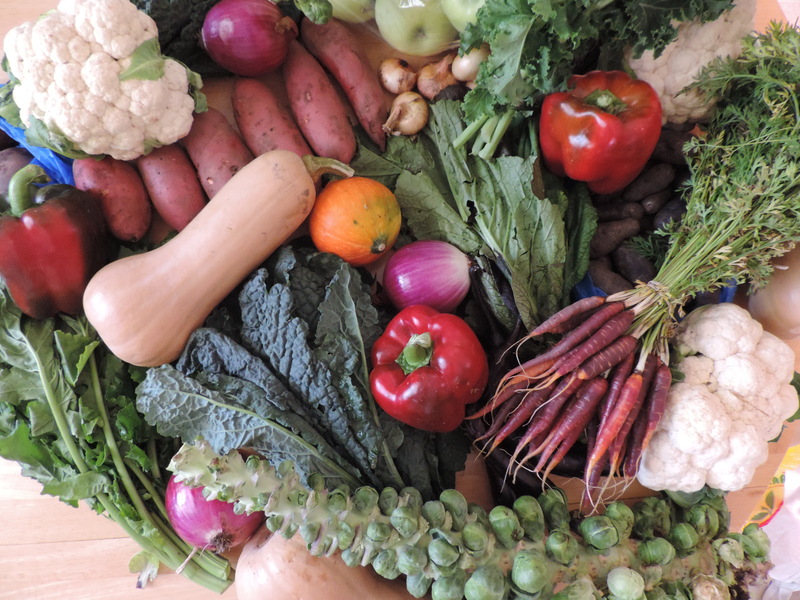 I received free samples of Libby’s new Vegetable Pouches mentioned in this post. By posting this recipe I am entering a recipe contest sponsored by Libby’s and am eligible to win prizes associated with the contest. I was not compensated for my time. With the cooler weather, I’m craving all kinds of fall- and Thanksgiving-themed foods. But who has the time to cook all the squash, potatoes, beans and turkey? Not this girl. I’m all about the quick, simple meal using quality ingredients — and culinary shortcuts — to yield tasty, good-for-you dishes. So when the folks at Libby’s Fruits & Vegetables challenged us to create delicious appetizers, soups, salads or side dishes in 10 minutes or less using Libby’s Vegetable Pouches as the hero ingredient, I was ready to get cooking. Libby’s Vegetable Pouches are pretty snazzy little things. They’re microwaveable (DONE IN ONE MINUTE! ), which means fewer dishes for moi to clean (this whole not having a dishwasher thing is really getting old). Libby’s is the first to offer ready-to-heat vegetables in pouches. I don’t have to feel bad about throwing the package away, either — I’m a hippie like that — because pouches use 75% less energy annnddd waste is easily compressed, reducing space in home disposal and landfills. An added bonus is that the pouches are made with BPA non-intent materials. Tip: the pouches will be available nation-wide come the new year and can currently be found in select Walmart stores. But none of the aforementioned perks matter if it’s not tasty, right? Lucky for me (and you all), Libby’s Vegetable Pouches are delicious and come in five popular varieties – sliced carrots, sweet peas, cut green beans, mixed vegetables and sweet corn. 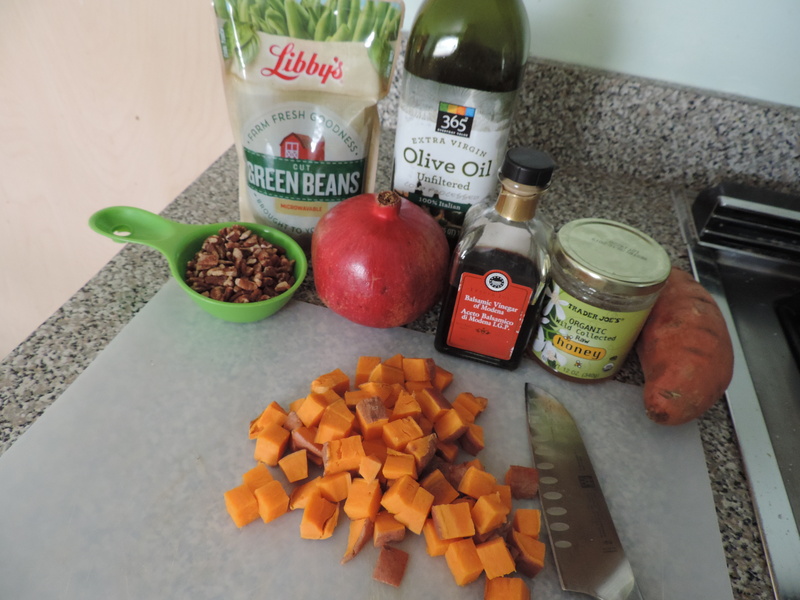 I chose the cut green bean variety as the star of my warm green bean, pomegranate and sweet potato salad. This salad is a GAME ˆ CHANGER. It would be a welcome addition to any Thanksgiving table and it takes LESS THAN TEN MINUTES TO MAKE! Not to mention it is no-bake (a microwave is the only cooking vessel you need), since oven space is quite precious on Thanksgiving. 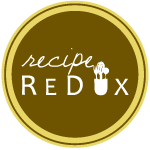 Plus, with “exotic” sounding ingredients like pomegranate, rosemary and cinnamon pecans, you’ll appear to be the best, most knowledgable chef around. Enjoy this while it’s still warm, or refrigerate and eat cold. This would be delicious served alongside chicken or turkey — or eat it by itself! It’s really that good. 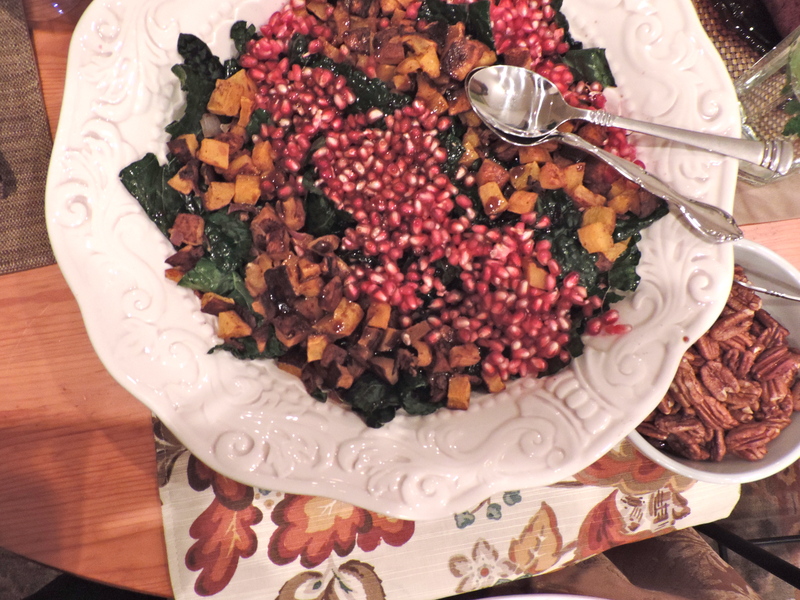 If you don’t have pomegranates around, you can swap them for dried cranberries. Poke holes in sweet potato using a fork. Microwave sweet potato for 2-3 minutes. Flip sweet potato over and microwave for an additional 2-3 minutes, or until it feels soft. While the sweet potato cooking, melt butter in a small skillet, add pecans and cinnamon and stir for 2-3 minutes to toast. Prepare pomegranate. The best way to do this is to roll the pomegranate on the counter before cutting it — you should feel and hear the seeds loosening up. Then, inside a metal or glass bowl (the juice could stain a plastic bowl) cut the pomegranate into quarters and dig out the seeds. Or, use pre-prepared pomegranate seeds to save some time. 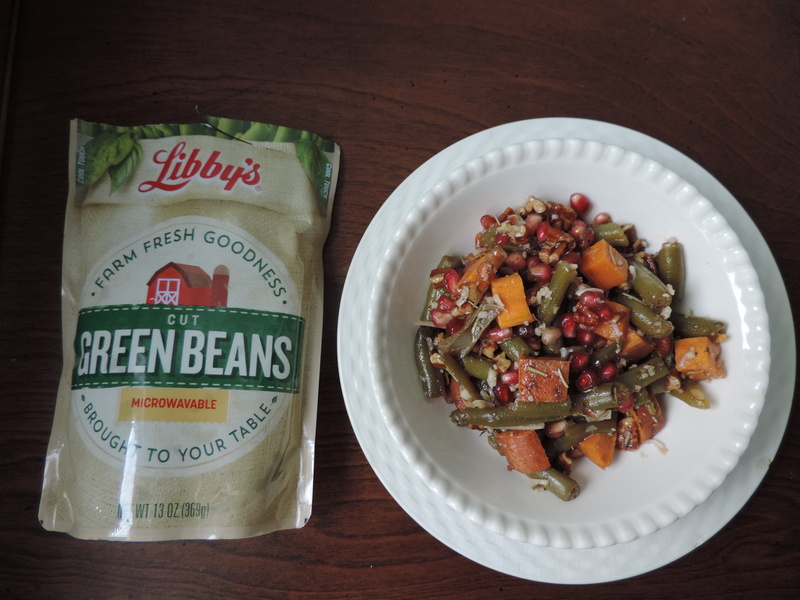 When sweet potato is done in the microwave, swap it out for the Libby’s Cut Green Bean Pouch and cook according to package instructions. While the green beans are cooking, cut the sweet potato into small cubes. Drain heated green beans and add to a large bowl along with remaining ingredients (including toasted pecans). Toss and serve warm. Voila! Enjoy this super-easy, amazingly delicious salad!